Polamar Skies - Hale Telescope Webcam is Back! | Astro What? Polamar Skies Hale Telescope Webcam is Back! 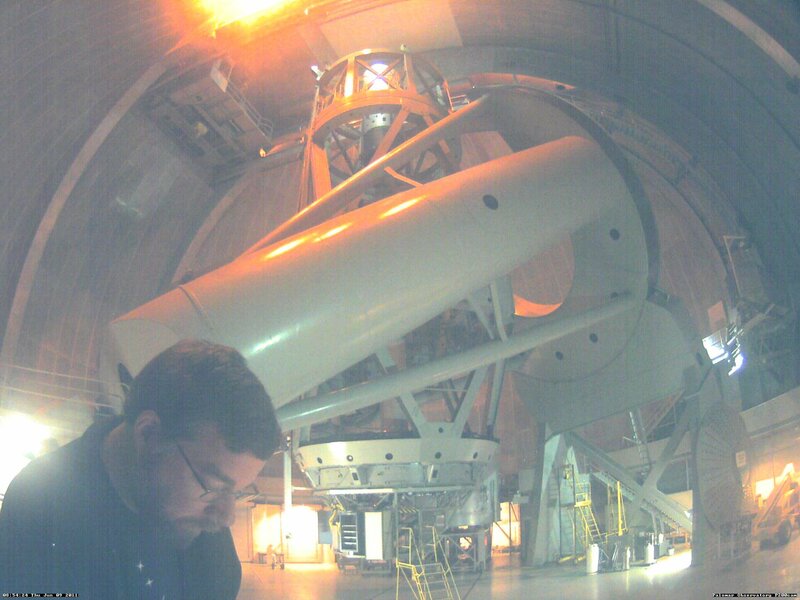 It has been a tough spring for the webcam in the dome of the 200-inch Hale Telescope, but as summer approaches I am happy to announce that it is back on line. I made a slight adjustment on the camera's focus this morning and captured this shot of me with the Big Eye. I will try not to block the view from now on.